Kolahun, Lofa County – “Since the TRC, no institution has taken this bold step to talk about justice with us in the communities,” says Clarence Sepoe, acting Mayor of Kolahun, on the discussion held after Flomo’s traveling performance of Musu’s Diary. The performance drew a large crowd made up of all members of the community, including one person who identified himself as a former combatant. 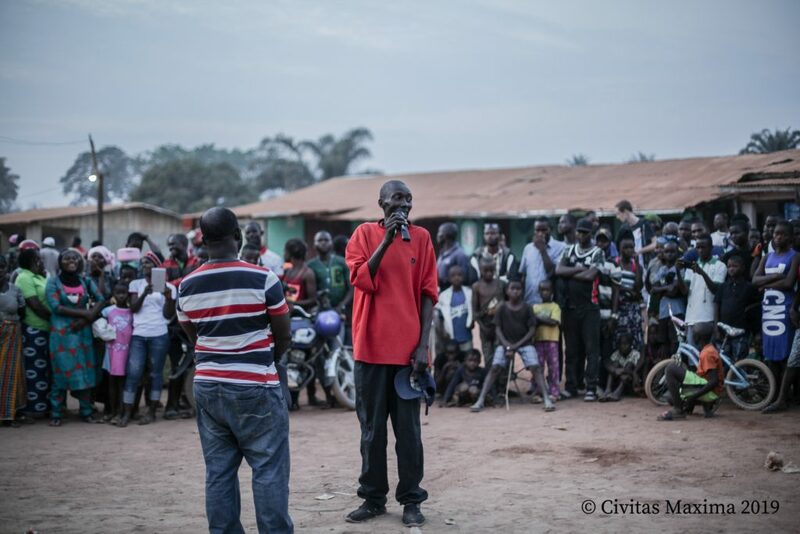 At the start of the performance, he stated there was no need for a war crimes court in Liberia and that there are other priorities the country should focus on, like fixing the bad roads that connect the towns. Throughout the performance, his perception changed. Musu, the leading character from the play, is confronted with issues of justice and impunity. Her mother had to flee to Ghana to escape rebels that enslaved her. Musu and her brother, Varney, are like many Liberians: they want peace and they want their family back together. In order to achieve this, Musu must fight the Boogeyman, a mystical creature who eats the hopes and dreams Liberians have for a better future. “We are all Varney’s here. If your brother fought in the war, and this is because you don’t want justice…look him in the eye and tell him that you think a court is the way for Liberia to move forward” said a community member who is one of the two survivors of a massacre that killed 33 people in Kolahun during the war. Some community members expressed resentment that since the publication of the TRC report, no justice for war crimes had been occurred. The fact that the TRC recommendations have not been implemented makes Liberians question its relevance, “huge resources were put into the TRC,” said Alex Swaray from Flomo Theater. In the discussion after the performance, the former combatant participated. He agreed there needs to be some sort of justice mechanism – but that a war crimes court is not the only option. Flomo Theater, together with Civitas Maxima and the Global Justice and Research Project, are bringing the debate of war crimes accountability to numerous communities using Musu’s Diary, a participatory theater performance. 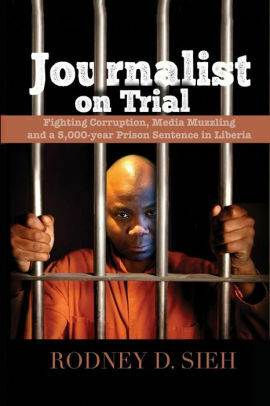 The group is doing this by informing audiences all over Liberia about the trials of alleged war criminals happening abroad – and thus, raising the question if these cases should be tried in Liberia.